LATAM Airways will roll out a vastly improved business class seat across most of its international fleet beginning later this year. Those jets will be the Boeing 767 and Boeing 777 fleet, along with factory-fresh Boeing 787-9 Dreamliners and the Airbus A350-1000 being delivered over the coming years. 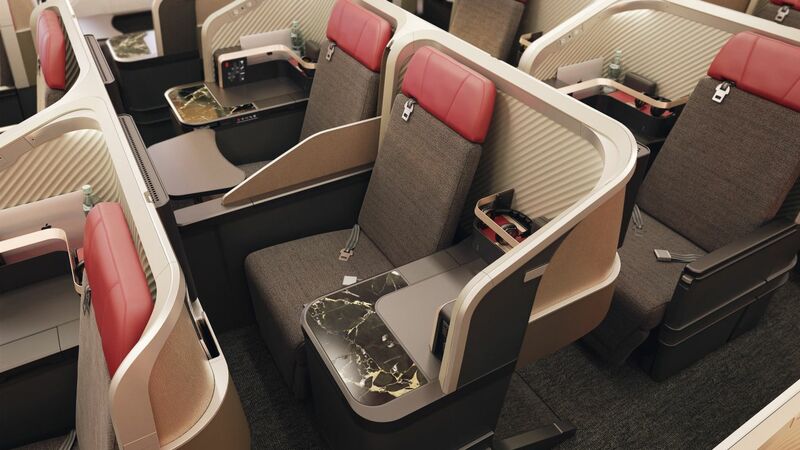 And what their passengers will see is a thoroughly modern seat that's also very familiar, especially to Qantas frequent flyers, as LATAM has chosen the Vantage XL platform from Ireland's Thompson Aero Seating with styling by London-based PriestmanGoode. Direct aisle access? Check. 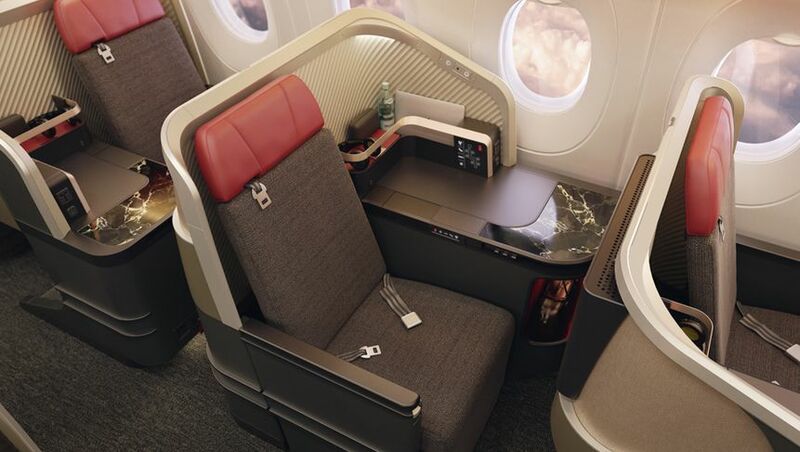 A wide console where each passenger can park documents, laptops and other items they wish to keep close at hand? Check. A secuded shelf for keeping said items tucked out of the way until needed? Absolutely. A fully lie-flat bed while you catch up on movies on an 18-inch HD video screen? But of course. 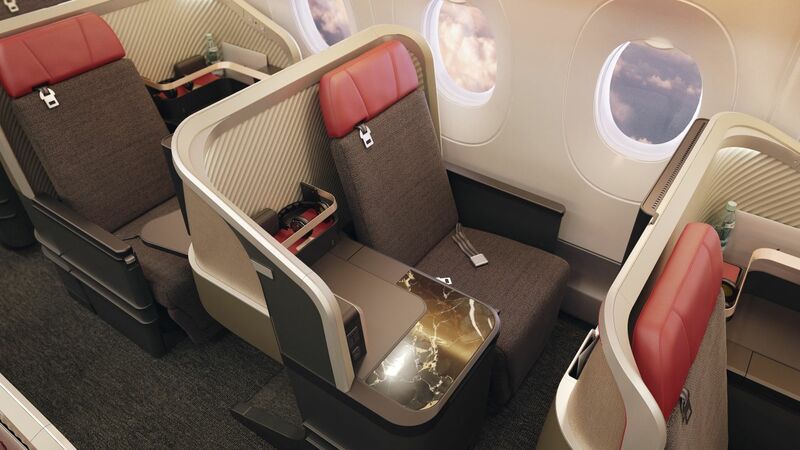 The staggered layout is identical to that of Qantas' Boeing 787, Airbus A330 and soon the Qantas A380s. Each row alternately places the middle seats right next to one another (with a sliding privacy divider between passengers) or puts them next to the aisle (with each seat's wide shelf separating the passengers). 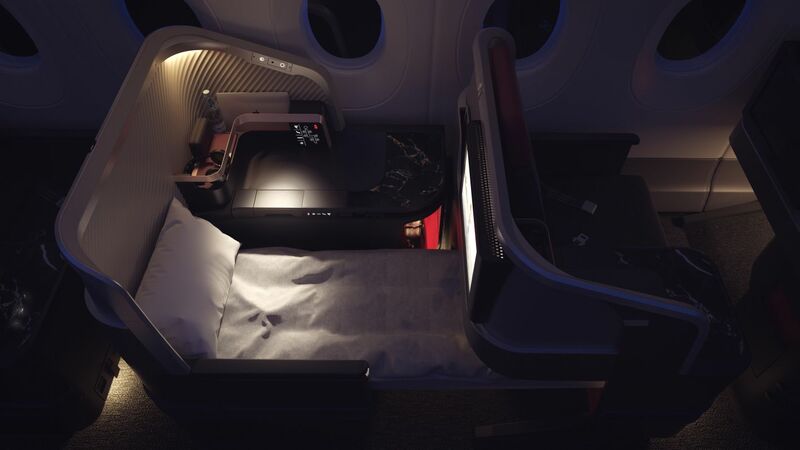 The journey to this week's debut of the new business class seat has taken three years, LATAM says, including consultations with passengers and experts, carrying out seat trials and ergonomic tests with customers and cabin crew as well as 'simulated flights' with sleep trials over a two-week period. 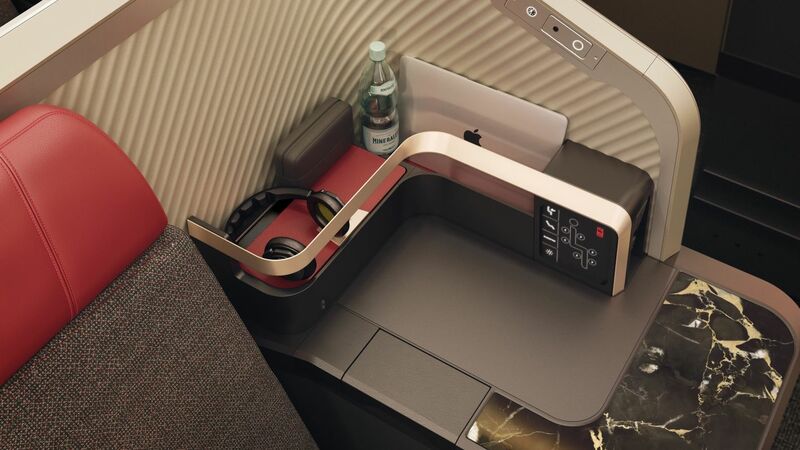 The Oneworld airline carrier – created by the merger of Chile's LAN Airlines and Brazil's TAM Airlines, and now headquartered in Santiago – will also upgrade its short-range Airbus A320 and A321 aircraft to include WiFi and new ergonomically-designed Recaro seats fitted with fast-charging USB sockets. Looks great, but the aisle-side seats need some more privacy shielding. Also I am not a huge fan of the married-divorced concept for the middle seat columns... at least they've found a way to reduce elbow-nudging. Agree the aisle seats need more privacy. Qantas does this a bit better with the wing that comes over. I actually like the option of couples seats, even if not many of them. On Qantas there is always a bench or the aisle between seats. Flew with them last year from Santiago to Rio in business and must say great service and the best piece of dead cow I’ve ever had at 33000 feet! I’d be interested to hear what the product is launching on, and when. Like @iamwill I really like Latam’s long haul soft product. F&B is great and the staff have got the balance between polished professional and friendly spot-on. A new hard product like this should lift Latam to the top level. The staggered layout is not identical to QF. LAN has gone for the alternating single and couple seats in the middle section (like VS on their A332s) which I find probably more attractive when travelling with my wife but I understand the arguments either way. Correct, the layout is only "identical" for the seats at either side of the plane. The middle section differs to QF. i really enjoyed the open plan format of latam business class. not sure why everyone needs so much privacy. makes the whole area feel open and less like a plane. some of the other airlines have made each seat so private you feel crammed in and hidden away like a cocoon. 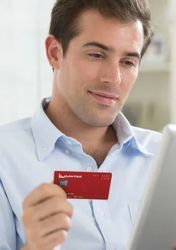 Flew business class with them Syd-Akl return earlier this year, with my wife, for about $600 return each. It was about the same price as QF economy in the A330 and we impressed with their Dreamliner and service, for the price. New product looks good and will be interesting to try. Comment on "LATAM reveals new business class seats"